Thank Bill for this one. 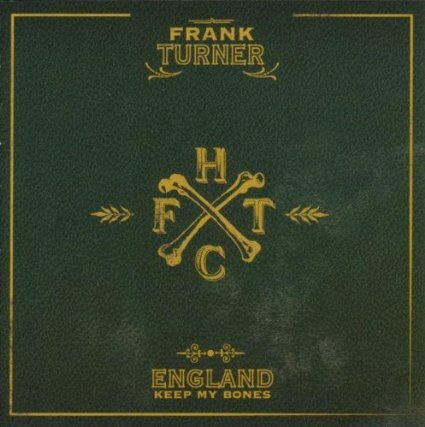 It's from English singer Frank Turner, whose album England Keep My Bones will almost certainly end up in my top five albums of 2011 and who I was first introduced to by Bill. It's punk with a county/folk edge, or perhaps it's country/folk with a punk edge. Totally tuneful and joyful (except when he's not trying to be joyful) and an excellent live. Not all of the new album is appropriate for kids, and the lead single, "Peggy Sang the Blues," concerns a visitation in Turner's dreams by his dead grandmother. Which is fine by me, because it's got the best damn chorus of the year, including the lyrics "It doesn't matter you come from / it matters where you go / and no gets remembered / for the things they didn't do." I hope my own kids know that. Posted in Listen To This, Videos. October 17, 2011 by Stefan Shepherd.